Nautical little gem on the river! The cottage is compact and well appointed. It’s is a nicely renovated mid century. It is small but efficient. The furnishings are stylish and comfortable. Being very close to Port Carling was a bonus for us. Perfect for a small family like ours! Quaint cottage , very small though. We liked how close we were to Port Colborne and the marina. This cottage was EXACTLY what our family of four was looking for. Renovated, clean, cozy, well-appointed and GREAT location. 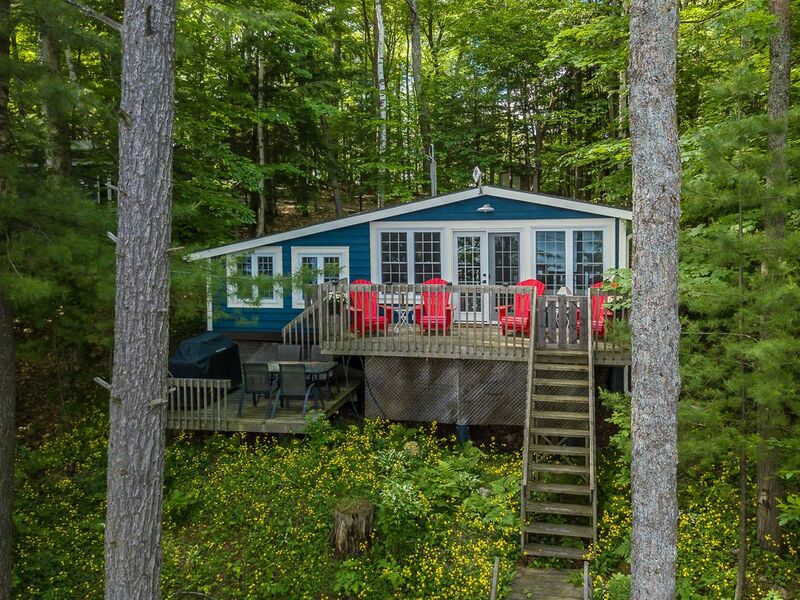 So close to town and very near the lock in Port Carling so could easily take our rented boat and jet-ski to town and around the corner the other way is a massive lake to explore everyday. Paddle board and kayak at our disposal which was super fun too. Nice, helpful neighbor next door just in case you need anything. One tiny thing that was a bit hard for us is the shower--we are tall (5'10" and 6'2") and couldn't stand up in the shower. There's a hand held shower head so easy to kneel. Would rent this cottage again in a heartbeat. Entire family happy as can be. So glad you enjoyed your time at Indian River Respite Stephanie! Come back again anytime!